Thank you for your interest in volunteering! At this event, Clark County Parks will celebrate Earth Day by partnering with SOLVE for a beach cleanup at Frenchman's Bar Park. 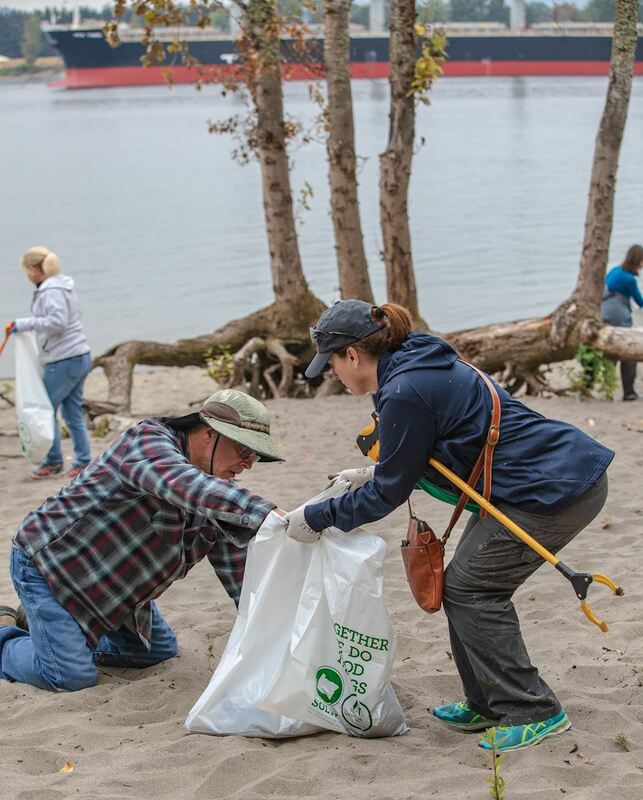 We will work on picking up litter from along the banks of the Columbia River and the natural areas within this park. Volunteer may continue litter collection up the road at Blurock Landing. These efforts will help prevent trash from entering the Pacific Ocean. Volunteers should wear weather-appropriate clothing that you don't mind getting dirty, long pants, and closed toe shoes, and bring a refillable water bottle. We will supply gloves and garbage bags, but if you have gloves feel free to bring them. Youth 13 and younger may volunteer witha parent or guardian. Teenager 14 to 17 years old need to have a signed minor consent form to volunteer without a parent.